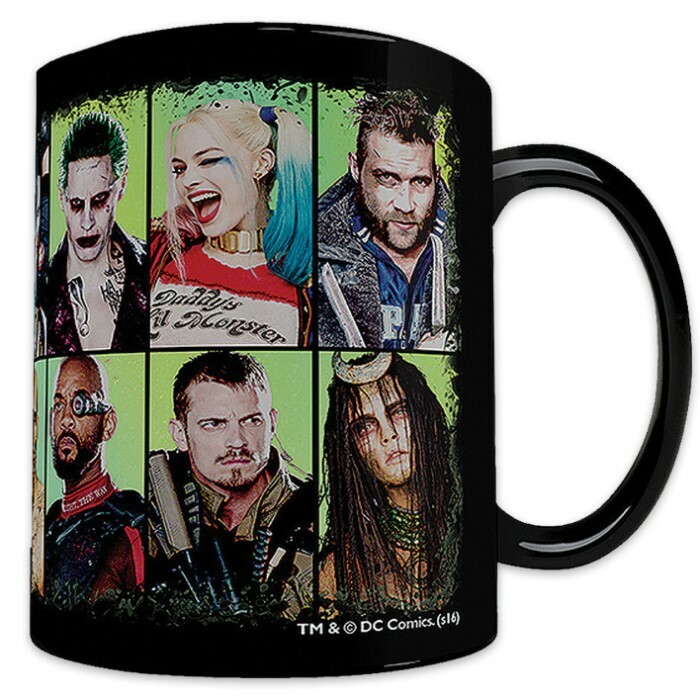 Bring the mayhem of the Suicide Squad to every hot cup of coffee with this Morphing Mugs heat-sensitive clue mug featuring the members of the elite group. The exterior of this officially licensed mug transforms the silhouettes of the characters into full color images when hot liquid is added. 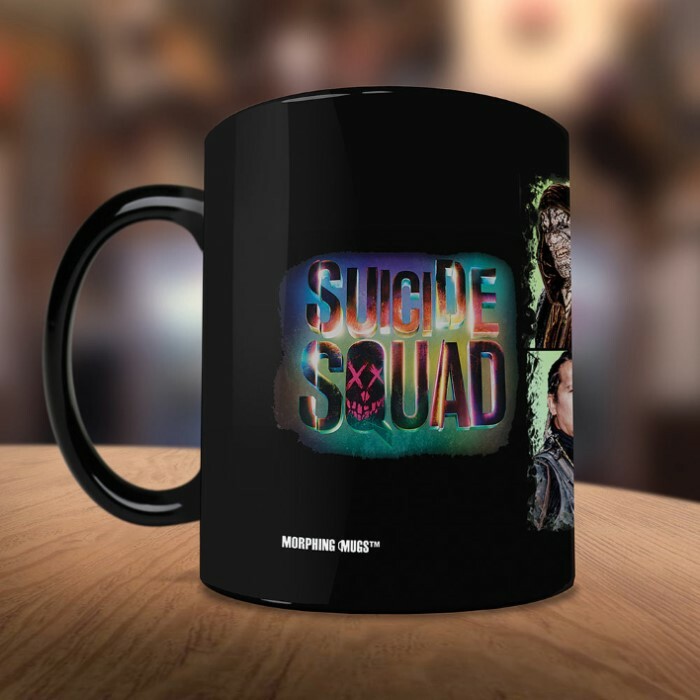 The 15-ounce mug is designed and printed in the USA. I got this as a gift for my hubby and he loved it! Its cool how some of it glows even when its cold.